The SA National Gallery is situated half way up Government Avenue, on the left hand side. On the 21St of April 1871, a number of distinguished citizens foregathered in the rooms of the South African Public Library to discuss the formation of an association devoted to the furthering of the arts. The first official meeting, at which the South African Fine Arts Association was formed, was held on the 2nd of August. The Governor consented to act as president of the Association and a committee was formed under the chairmanship of Sir Henry Southey with John Fairbairn as secretary. The first objects of the Association were the formation of a permanent art collection and the erection of a gallery. During the following year the Gallery acquired its initial collection when Butterworth Bayley beqeathed a small number of English academic paintings to the nation. Further gifts followed, among them watercolours by Bowler and other early topographical painters, and these were the first South African pictures to come into the collection. At this time the pictures were housed in the Library where they were to remain until premises were bought in 1875 in New Church Street, now Queen Victoria Street.Two years later the Association applied to the Government for an annual grant to be used for art purchases, but the Treasury was in severe financial straits and nothing was done in the matter until 1880 when the first grant of £100 was made. This official reluctance and parsimony was to continue for many years to come and although the grant subsequently was increased it still was grossly inadequate for the needs of the Association that continued to raise money on its own and press for official action to build a proper gallery. In 1895 Parliament enacted the South African Art Gallery Act and in terms of this legislation the South African National Gallery was incorporated which took over the Association’s collection on behalf of the nation. In 1900, the collection was moved to an annexe of the South African Museum where it remained for the next thirty years. A catalogue of 1903 is unexciting except that it records the acquisition of paintings by Crosland Robinson and the first South African ‘impressionist’, Hugo Naude. While the Gallery was still in the Museum annexe, it received its first gifts from one who was to prove its greatest benefactor, Alfred de Pass. From 1926 to 1940 this generous and distinguished connoisseur never failed to add to South Africa’s small but slowly growing treasure of art. His donations included paintings by the French artists Fantin Latour, Gericault, Corot and Daubigny together with works by Turner, Sickert, P. Wilson Steer and Augustus John of the English school. Other valuable works presented to the Gallery by De Pass include etchings by Rembrandt, Durer and Van Dyk, Japanese woodcuts and sculptures by Rodin and Epstein. De Pass later was to add to his gifts paintings by contemporary South African artists, French post-impressionists, graphic work and sculptures unattainable by the Gallery on its meagre finances. The De Pass Gallery is his memorial. The Association and the Gallery’s few staunch supporters, in the meanwhile, continued to agitate for a proper home for the collection but it was only with the death of another public benefactor, Hyman Lieberman, former Mayor of Cape Town, that the impetus came to start with a new building. In terms of his will, a bequest was made for the construction of a gallery. The City Council added a grant while the Government, in 1928, launched the project to the designs of the Public Works Department. On The 3rd of November 1930, the Governor General, the Earl of Athlone, opened the main section of the building in the Gardens. With massive doorscarved by H. V. Meyerowitz on the theme of Jewish history, the Lieberman Gallery, containing a Moses Kottler bust of the donor, honours the memory of a great Capetonian. Throuhgout the galleries are panels executed in Burmese teak, by Meyerowitz, and also 9 panels 1.81m, carved by Ivan Mitford Barberton. The impressive new building was an added spur to the efforts of the Trustees and supporters of the Gallery whose constitution and policy was to present the full story of the visual arts of the country and the development of South African tastes and culture. Funds were still the main handicap and for nineteen years until 1949 the collection was under the honorary care of the successive Michaelis Professors of Fine Arts of the University of Cape Town, Professor J. Wheatley and Professor E. Roworth. By 1942 the Gallery’s total income from State and municipality had risen to a miserly £3,450 and £500 respectively. But the collection had been growing, additions had been effected to the building and the number of visitors had increased steadily. In 1929 Sir Frank Brangwyn presented a large number of his etchings, and three years later Lady Michaelis gave the Gallery a collection of old Dutch and Flemish canvases and drawings. Then, in 1935, Sir Edmund and Lady Davis added a collection of English paintings. A director’s house was completed in 1940 and additions to the building permitted the incorporation of four new galleries, which practically doubled the available space. But with the possibility of enemy raids the more valuable pictures were stored and several rooms were closed in 1942. The war years, however, brought a peak interest in art and as the danger of raids receded the galleries were rehung.With the cessation of hostilities and the freeing of transport, the Gallery benefited by receiving a series of loan exhibitions of contempory national art from various countries, famous collections and special displays while a sequence of memorial exhibitions in honour of South African artists was begun with a showing, in 1945, of the paintings of Jan E. A. Volschenk. This was followed during the next eleven years by special displays of the works of Hugo Naude, Wolf KibeI, John Dronsfield and Harry Strat Caldecott. Meanwhile the Sir Abe Bailey collection, consising largely of sporting pictures and many fine examples of English eighteenth century art, had arrived in 1947. Opened by General Smuts, then Prime Minister of the Union of South Africa, it remains the most important gain by the Gallery. At the time of the Tercentenary celebrations in 1952, three special exhibitions were shown simultaneously Dutch seventeenth century art and other collections from the Netherlands; British seventeenth and early eighteenth century paintings sent by the British Council, and modern sculpture from Britain and South Africa. 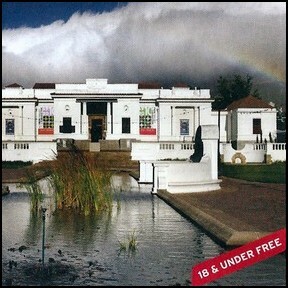 Today it remains South Africa’s premier art museum.